Oh my goodness, my heart is exploding! 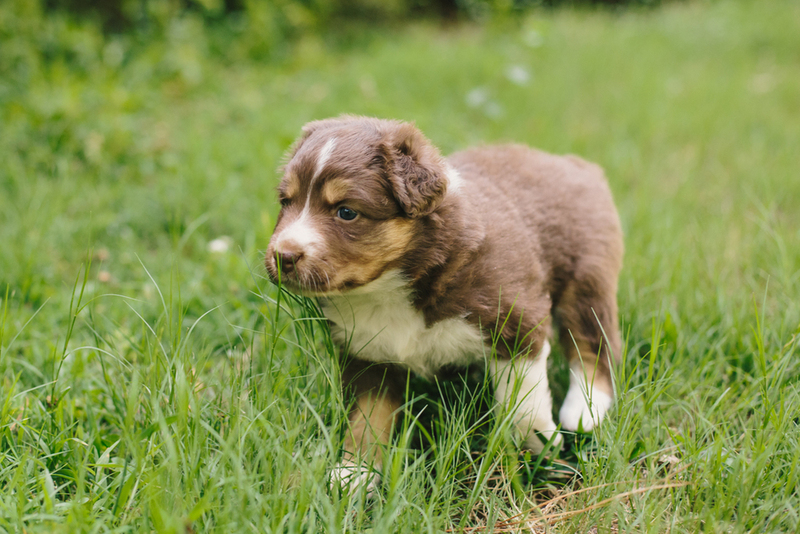 Stevie's parents have two Australian Shepherds, and they recently had their second litter of puppies. These four adorable pups are just a month old! We spent some time chasing and cuddling them this weekend, and boy, it's going to be hard to let these little guys go. There are two black tris and two red tris, and three of these cuties are still looking for a home!